This film closes on Thursday, April 11th. In September 2012, commercial deep sea diver Chris Lemons was stranded on the seabed with five minutes of oxygen left in his tank, but no chance of rescue for a further thirty minutes. Chris and his colleagues were carrying out routine maintenance on an oil well on the bottom of the North Sea when a freak accident on their support vessel, 100 metres above them, caused the ship to drift out of control, severing Chris’s ‘umbilical’ line and leaving him without breathing gas or connection to the diving bell. Alone in the freezing waters, without any means of communication, Chris’s chances for survival were slim. 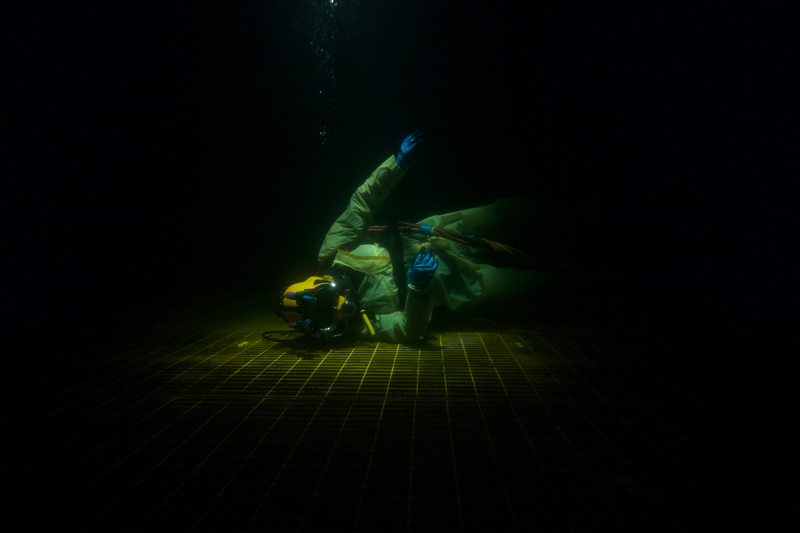 Utilising testimonies from those directly involved in the incident, recreations and vivid footage from the divers’ helmet-mounted cameras, Last Breath is a gripping account of a seemingly impossible fight for survival.